Go though the article to learn about some important spray painting tips and learn the beautiful effects paints can create if used correctly. There are so many colour options available today if you go to buy a four wheeler for yourself. Metallic black, peacock green, imperial blue metallic, vibrant red, deep-blue red, neutral grey, sunshine yellow, etc. Automobile companies have several colour combinations to offer to their customers. Have you ever thought how the manufacturers manage to get the right colour mix and how the end result is so appealing and exact? This is all the magic of spray painting, a painting technique in which a spray painting gun, pressurized paint container, compressed air system and flexible tubes are used. Spray paint is something that looks like graffiti, but it is in no close proximity to graffiti. One can say that it is a painting method invented to improve on the painting techniques, making it faster and accurate when it comes to the end result. 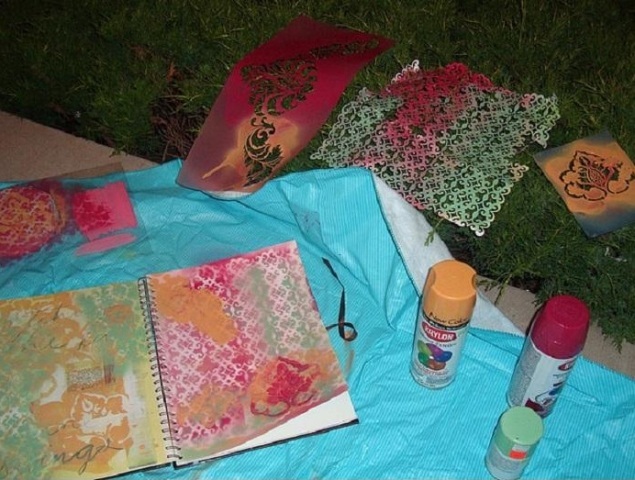 A spray painting mechanism is used more in a professional set up, but can also be used by common man in order to protect his or her valuable objects from getting spoiled. Though simple to use, there are certain tips for spray painting that have to be followed in order to get perfect results. Choose the right place for your spray painting. Make sure that the place you choose for painting is well ventilated. It is advisable to spray paint outdoors whenever the conditions permit. Make sure that you don’t paint under direct sunlight and in hot, humid weather. Remember to take precautionary measures while spray painting indoors and outdoors. You can protect objects from overspray by using newspapers, painter’s tape or drop clothes to cover the surrounding areas. It is better to create your own paint booth with the help of a large cardboard box. Make sure that you prepare the surface of the object on which you are going to do the spray painting. Paint on clean and dry surfaces only. You can clean the surface with the help of household detergents. You will have to sand hard surfaces to improve the property of bonding. You can also use a primer on the surface as it helps in making the surface smooth, it seals the surface and makes sure that the desired and real paint colour is achieved. Irrespective of the technique you will put to use for spray painting, read the directions given on the paint box properly before you start painting. Pay utmost attention to the safety tips and recoat numbers. It is advisable to stick to the label directions and warning when using any paint. Abiding by the instructions will give out the desired quality of work. Make sure that you test your spray paint before using it. Shake the can before using the paint and test it with different spraying techniques on a piece of a scrap material. This will give you the best choice of technique and paint that you can use over a particular surface. Once you have gone through the instructions and have tried your paint on scrap, take your object and start applying multiple thin coats instead of one thin coat of paint. Release the button of the machine after every pass or coat of paint. Each pass should overlap the other in a side-to-side motion in order to get the best results out of your spray painting. After the first coat on your object, check the instructions on the paint can for recoat window. It will tell you the exact time gap between two coats of paint. After you have applied all the successive coats of paint, do not touch the object or the surface till the time it is completely dry. Make sure that you clean the spray valve by turning the cans upside down and spraying for a few seconds, before storing the cans for future use. The cleaning will prevent clogging in the spray tip.